The word ‘crisis’ is overused in politics these days, but it seems perfectly appropriate to describe the state of mental health services in Thanet. I learnt this week that Thinkaction – which provides Thanet’s cognitive behavioural therapy and counselling service – will be withdrawn on October 31. This means that, if any of us experience mild to moderate health problems, like anxiety, depression, stress or trauma, our GP (assuming we can get an appointment with one) will have nowhere local to refer us. 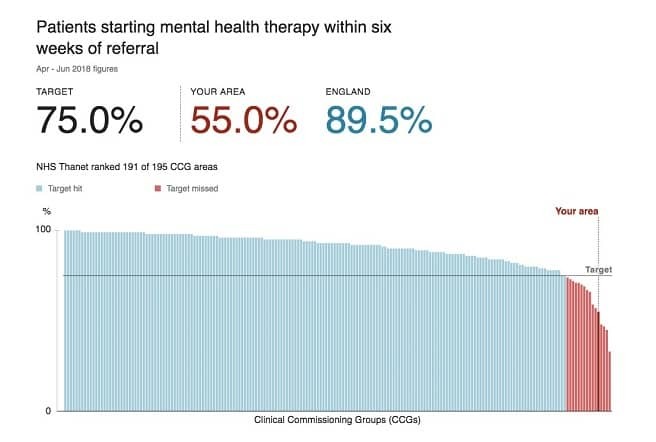 Thanet Clinical Commissioning Group consistently misses the Government’s target of offering therapy within six weeks of referral. We’re the fifth worst area in the country for this. Without doubt, the closure of the Thinkaction community mental health hub will put additional pressure on our already struggling doctors and cause misery for many people and their families. If this vital lifeline is cut, mental health problems in our community will worsen and more of us will find ourselves in need of secondary mental health services. Our adult secondary service, the Beacon Community Mental Health Service, is underfunded and unable to cope with local demand. Over a quarter of people in Thanet live in poverty – and it’s now widely accepted that long exposure to money worries and poor living conditions has a detrimental effect on our mental health and shortens our life expectancy. Children from disadvantaged backgrounds are two to three times more likely to develop mental health problems – with literally deadly knock-on effects. People experiencing severe and prolonged mental illness die on average 15 to 20 years earlier than the rest of the population. Most serious mental health problems – like psychosis and schizophrenia – begin before the age of 24. Around a quarter of mental health problems are preventable through early intervention. It’s vital that we try to prevent mental health problems from developing and intervene early when they do. Our child and adolescent mental health services are run by North East London Foundation Trust. Some young people from Thanet who need to be admitted to hospital because of mental health problems are being sent more than 200 miles from home. Labour will put an end to this misery. We will stop people being sent across the country, away from their support networks, by bringing forward the ending of out-of-area placements to 2019. I’ve been contacted by a Ramsgate resident whose daughter has such severe autism that she’s unable to speak. As this young woman approached adulthood, her behaviour became increasingly violent but she was denied medication. She began harming herself and wreaking havoc on the house. Police and ambulance services were called. After a night in Margate’s QEQM hospital, she was finally referred to the Beacon. Once the crisis had passed, this vulnerable young woman was discharged into the care of her family with little follow-up. I know of another young adult who has been hearing voices who has also been discharged. Cut adrift from the system, her mother recently waited over five days for someone to contact her, and she has now received a standard appointment letter. Last month, I was privileged to meet representatives of SpeakUp CIC, which provides peer support and a voice for mental health service users in Thanet. They told me about the devastating consequences of lost services, such as Thanet Mind and the mental health unit at QEQM, the dilution of the Margate Taskforce and the threat to our local Mental Health Action Group. I also learnt that SpeakUp’s Night Owls online support group is increasingly being used as a crisis service. The projected rise in severe mental illness in Thanet is 3.8% by 2020; in mild to moderate mental illness, it’s 5%. It’s clear that we need more mental health services not fewer. Between 2010 and 2015, £600 million was cut from mental health budgets, and there are now over 6,000 fewer mental health nurses than there were in 2010. The Labour Party will work to reverse the damage done to mental health services under the Tory government. We will make sure that mental health is considered equal to physical health and that much more emphasis is put on prevention and early intervention. We need adequate mental health provision throughout our community, and we need to tackle the causes of mental ill health – beginning with poverty. 0800 107 0160 Available 24/7 365 days a year. 03000 41 41 41 – for urgent help out of hours. concerns; signpost to relevant services: offer emotional support. 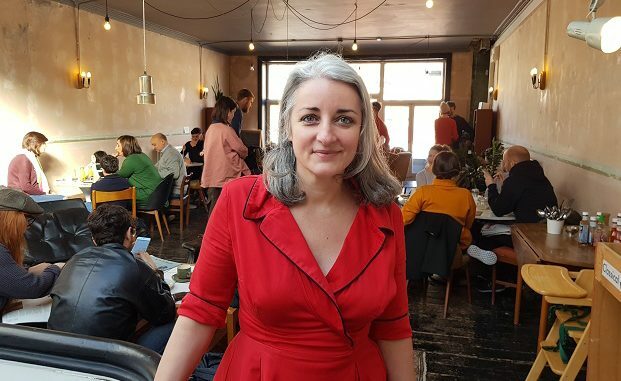 You may well have a point Rebecca Gordon Nesbit, I have a personal axe to grind on this issue myself, but banging the Labour Gong of Corbyn, will fix all! is complete codswallop, he will bankrupt the country, Tax Working People to the hilt and leave us defenceless. He is a puppet on a string, and I don’t like the puppeteer!And as “For the many not the few” what crap! Just as Churchill, said “Never in The Field of Human Conflict was so much Owed by so many to so Few” those few being the workers not the shirkers, or the student supporters, who have yet to do a days work. Ah well! You’re just going to have to vote Tory/Ukip again. More people forced to use food banks, more tax cuts for the better-off, more reductions in local health services (See Rebecca Gordon-Nesbitt’s article above), even fewer Police, fewer bus routes, more teachers and parents using their own money to buy equipment for the schools, more students in massive debt on graduating so that they are unable to consider buying a home for years, more failing privatisations, but the well-off seeming to be completely immune to all the worry and insecurity we see around us. And just because that Jeremy Corbyn is about as radical as your average Scandinavian Social-Democrat! Gelnn Horwood, I’m pleased to hear we agree that the loss of this vital NHS service is reprehensible. You might want to have a look at how the Labour Government will pay for all the reforms that are being proposed: https://www.facebook.com/537306279958703/posts/704929196529743/. Unless you’re lucky enough to be in the top 5% earning bracket, you will only be impacted positively. I thank you for your reply, Rebecca Gordon Nesbit, but forgive my cynisism for I have been through the ups and downs of political promises from both Left and Right, I have the 17.5 % interest rate badge of honour scar as does my wife, WE HAVE SEEN AND HEARD IT ALL BEFORE, Corbyn might be a pied piper to fools but not to me. I expect many fools like me would much rather vote Labour in the hope of a genuinely socialist government rather than vote Tory and reinstate a government of selfish MPS such as Thanet’s who don’t seem to give a fig for their constituents’ health and sanity. Absolutely bloody marvelous. I have just in the past 2weeks managed to get an appointment to thinkaction. Which resulted in me going to have cognitive therapy. It has taken alot for me to get here. And now it’s not going to happen. Why is Thanet being targeted with NHS departments closing. Instead of funding other countries how about giving your own people help. What next, execution squads out to finish us off?, as this is how I feel at yet another vital health service being cut in Thanet. Why are our two MP’s not getting up and saying enough is enough on all this? Well they are alright they have money. The bloody screwed up Government and it’s alternatives are all immune to what many have to live like, in poverty and ill health. The Universal Credit scandal needs dropping as it’s putting claimants in huge debt and killing people with mental health problems but they insist it is helping them!!! What has it come to under the Tories? What are we supposed to do now? Lets remember why these services were originaly commissioned. CMHT’s (for our area this is Beacon) were overwhelmed with patients presenting with mild to moderate symptoms of depression, anxiety etc. The existing service couldn’t cope, the patients couldn’t be given any priority and languished on impossible waiting lists. The IAPT services were designed (in part) to reduce the demand on mainstream CMHT’s. If they are now removed those patients with mild to moderate symptoms will disappear among endless waiting lists while the CMHT frantically struggle to accommodate their own high end need patients. Its not just the stroke service, A&E, maternity under threat. The NHS in its entirety is being asset stripped, decommissioned and sold. Fight for it now, we’ll never get it back once its gone.